Greetings! CHEERS (cheer-us) is a team of Educational Psychologist, Counsellors, Educational Therapists and Academic Specialists based in Singapore. CHEERS is unique as we combine educational psychology in our academic intervention services! As a child specialist centre, we also liaise closely with hospital personnels, school personnels, occupational therapists, speech and language therapists, and parents. At CHEERS, we pride ourselves for teaching skills that can be measured and transferable to our client’s school and home environments. Ms Ming Ying is a registered educational psychologist (SPS) and therapist (RETA). She graduated with distinctions from the NTU Master of Arts (Applied Psychology) Programme. As a former MOE teacher, she accumulated more than 10 years of teaching experiences in mainstream and special schools. She had served at Pathlight before joining School of the Arts (SOTA). Ming Ying is trained in Orton-Gillingham, ABA and TEACCH Approaches. In her free time, she conducts assessments at the DAS and Mindchamps Allied Care, lectures at the College of Allied Educators and is a NIE supervisor to AED trainees. Mr Victor is a teacher at a special school for the past 5 years. He holds a Masters in Counselling qualification. Victor has extensive experience working with children and teenagers such as Autism Spectrum Disorder, Aspergers Syndrome and ADHD. Mr Victor is a patient and nurturing individual whom believes in using the fun element to engage his students in learning. Ms Mel is an ex-MOE and current special needs educator specializing in the teaching of English at the primary level. She has more than 14 years of experience, previously working in mainstream schools and an Autism-focused special school. 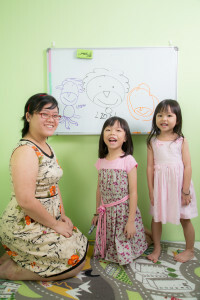 Ms Mel is a well-trained teacher with a General Diploma in Education and a Degree in Special Education. Her students find her to be a dedicated and patient teacher. She is confident in guiding children on the autism spectrum and those with multiple learning difficulties. Ms Yin Fung has a Bachelor in Counselling and a Diploma in Learning Disorder Management and Child Psychology. She enjoys working with children and adolescents and has been an enrichment teacher and private tutor with more than 10 years of teaching experience. Ms Yin Fung specialises in the teaching of English and Chinese. She is a firm and responsible teacher who earns the respect of her students. Allena has a Masters in Psychology of Education and a Specialist Diploma in Learning Differences. She has 5 years of experience in teaching and is passionate about helping children with various learning difficulties. She believes that every child learns differently and she is equipped with various teaching strategies to help them. Ms Nabilah has a Bachelor’s Degree in Psychology and a Diploma in Child Psychology. She enjoys working with children from pre-school to primary school levels. She has been giving specialised tuitions and teaching in enrichment centres for the past 7 years. With her background in teaching and child psychology, she hopes to make lessons engaging and help children learn better. 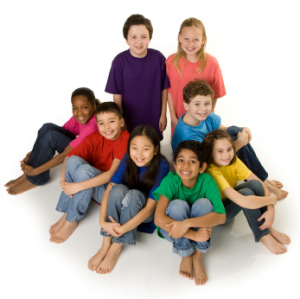 CHEERS provide quality psychological assessments for your child’s needs. 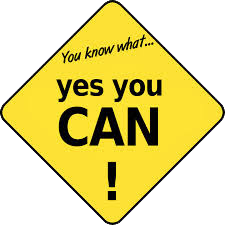 Whether it is an enquiry into cognitive functioning and giftedness, academic attainment, attention issues, emotional control, adaptive functioning or social skills, CHEERS can deliver. CHEERS psychological reports are widely accepted by hospitals and government ministries e.g. MOE and Mindef. 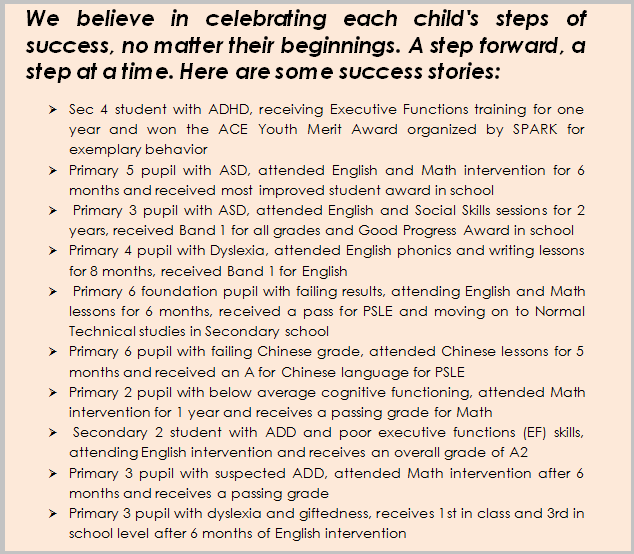 Academic interventions for English, Math, Science and Chinese for Primary and Secondary Students in mainstream or special schools. Our academic specialists are well trained to work with children and teenagers with diverse needs. We make lessons fun and engaging to maximize learning. Counselling is providing a listening ear without judgment or giving solutions. Sometimes we all need someone to listen to us and acknowledge our existence. By asking the right questions or reflecting your child’s thoughts, our counsellor can guide your child to a happier and more meaningful path. My child started social skills sessions 6 months ago. He is less emotional this year and says the sessions make things clearer for him. My child can apply the executive functions strategies taught to her when I remind her. She knows these strategies by heart and has become more organised in her work. My daughter attended counselling sessions. She goes to school regularly now and knows how to deal with stressful situations better. She is more cheerful now. As a parent, I learnt to be patient and to apply rules consistently at home. I cannot expect him to be a perfect human. CHEERS guide me to manage my own expectation and let go of things I cannot control. My child is in Primary 2 but cannot manage basic reading comprehension before he started sessions. I can see improvement because they teach him the basic phonological sounds before proceeding to individual words. I didn’t know that he was pretending to read before. She failed Chinese throughout Primary One to Four and almost had to drop to foundation level. In the past, she attended group tuition but no use. Thankfully, we tried one trial lesson at Cheers Learning and she liked the lesson. For the first time, she passed her Chinese exam. My child has developmental delay. He has always been a slow learner and scared of scoldings. The teacher is very patient in guiding him. We see that he is happier in learning now. My boy was having lots of trouble paying attention and behaving in class. We went down for one sitting of the assessment. The process is fast, from assessment to report discussion just took 3 weeks. The report has helped us tremendously to understand his learning and behavior profile. The school wanted an updated assessment report for the PSLE but hospital wait is very long. We opt for Cheers Learning. The service is fast and professional. The report is 11 pages long with full explanation of her learning difficulties. I find the recommendations very helpful. In the maxim that every child matters, CHEERS aims to provide quality services for children with diverse needs. 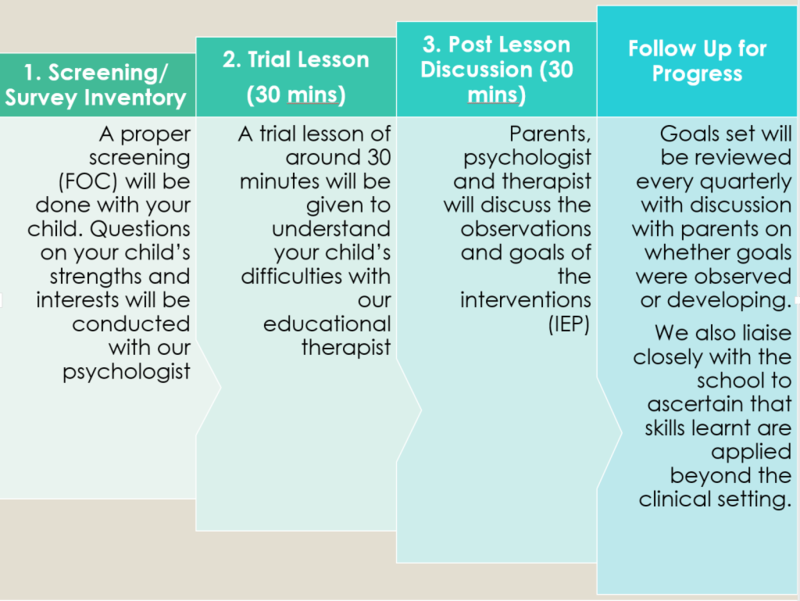 CHEERS current psycho-educational assessment rate is $600 per test while our intervention/counselling rates is between $120-$180 for an individual session. At CHEERS, we believe in serving our clients whole-heartedly. There is no hidden charges – no registration, report nor material fee required! Call or whatsapp @ 8495 5465 to book an assessment date/ trial lesson/ consultation. 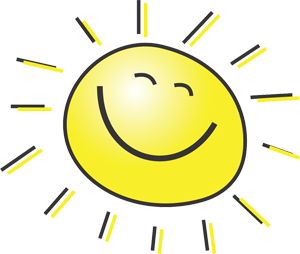 Send us an enquiry through our online form and we will get back to you on the same working day! Do2learn is an educational site suitable for parents or caregivers with young children on the autism spectrum. The site provide pictures cue cards and emotional control charts which are useful for guiding step by step behavioural change. This website, Understood, provides an overall view of the various types of learning differences – ADHD, Dyslexia, Dyspraxia etc and helping strategies for caregivers to try at home. Check out the powerpoint slides for a quick understanding of how a person’s EF skills affect overall daily functioning. Apply the strategies for specific EF skills deficit e.g. poor time management. 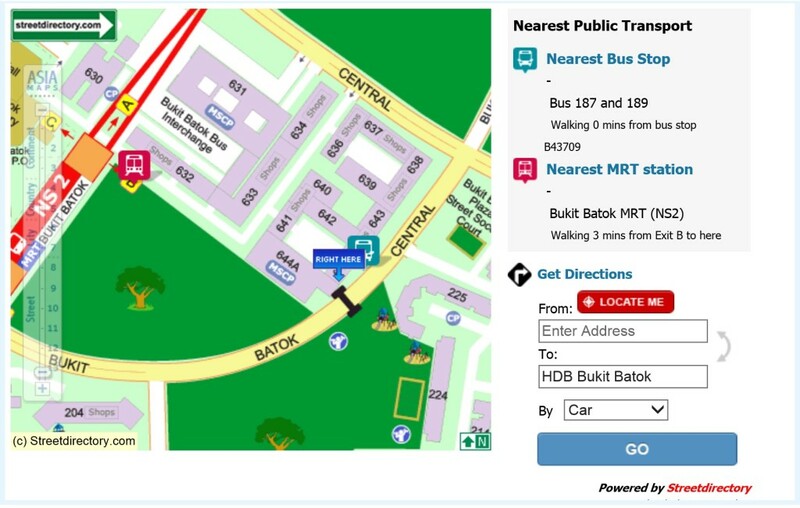 Suitable for children in Primary school all the way to University level. Introducing a parent-child communication book. Getting your child to do something need not feel like pulling teeth. It’s not what you say that matters; it’s how you say it! Watch this video and get the book if you are interested. There’s also a similar title for parents with teenagers. More and more children are jumping on the technology bandwagon way too early. By the time, these children reach school-age, attentional and learning issues may arise. Find out how you can help your loved ones cope with the effects of excessive gaming. We welcome you to call or message us at 8495 5465, or leave a comment in our contact form so that we can attend to your query! As we may be attending to classes, please make an appointment @ 8495 5465 before visiting.